Usually, when parents plan to have a house it is not forgotten to add a home office where they can work privately without being disturbed by their children. But hey mom and dad don’t forget to add a study room for your children so that they can also do private work on their own spaces. Children should always have an important part on your house. Study room is considered to be a place where your kids can do home works, projects and arts, computer work and reading. I’m sure that if you do have this space for your kids there will be no bothering moments at your home office already. 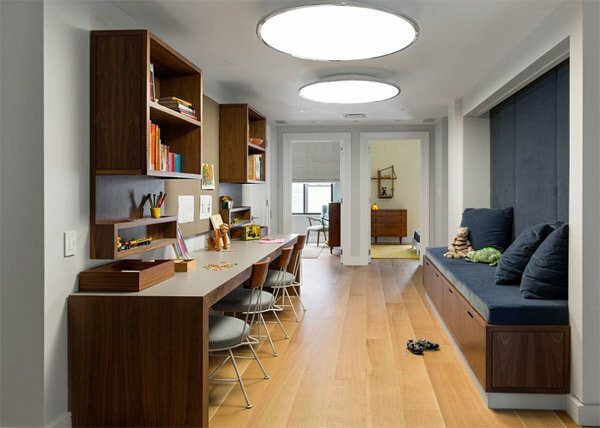 Study room are more functional in wider areas, but I’m not saying that it does not fit with homes having small spaces. In fact you can still create a study area in the same place where your bedroom is. 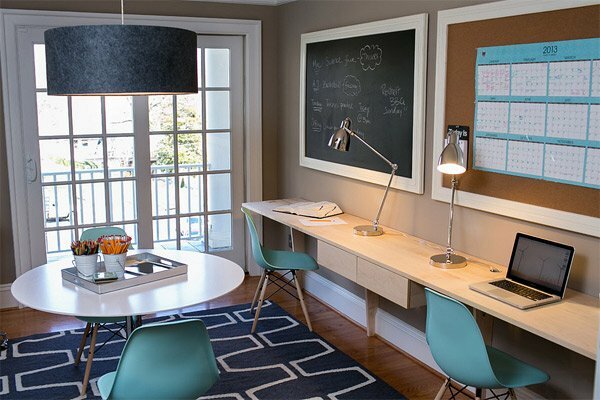 The main characteristic of a perfect study room are: cozy desk and chairs which if possible should be placed near windows or under light fixtures. 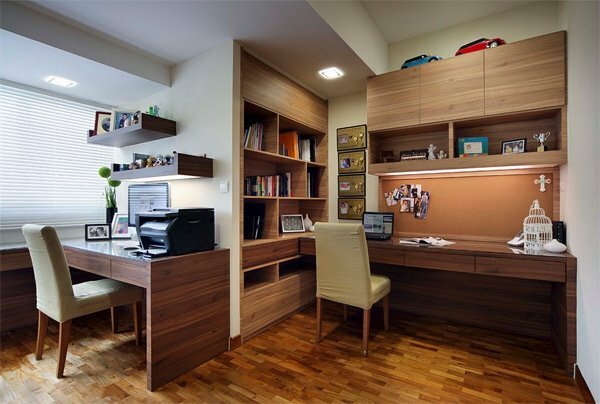 Study rooms must contain some cabinets or bookshelves for storing of some useful documents and other things. Never forget to put boards either a chalk board or whiteboard that can be helpful. And also cork boards could also be an important piece inside the study room which serves as reminder board so that the kids do not miss important tasks. 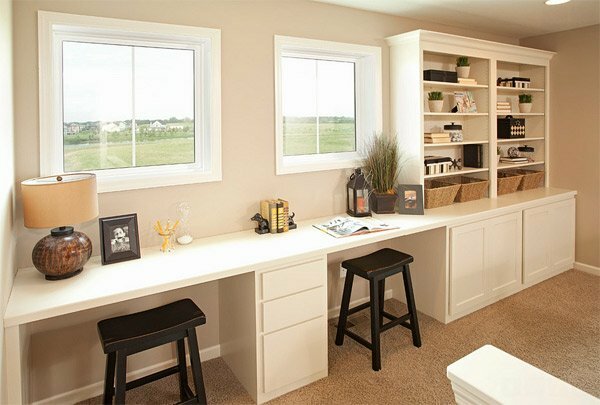 Doing homework or assignments can never be hard if you have a spacious study room. Chalk board is an important piece inside a study room most especially if you need to solve some math problems. Always build cabinets and shelves that serves as the storage of books and some things used to study. 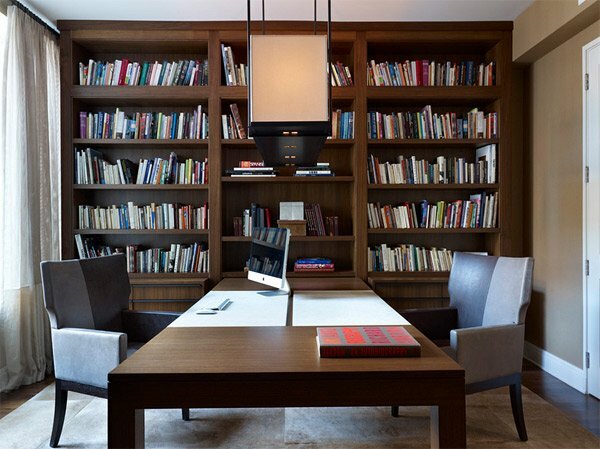 The wall to wall cabinetry is a best idea to effectively keep the collection of books which is organized well that would look very interesting. 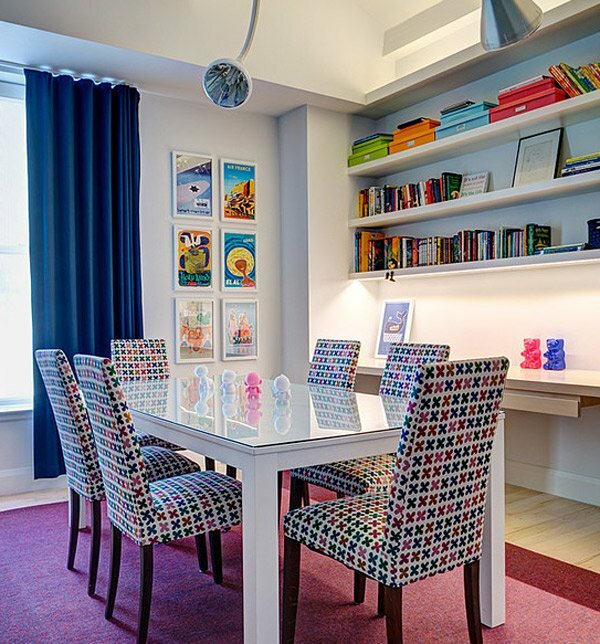 This beautifully designed room is perfect as study room for your cute little girls. I love the counter table and the cabinets, they match perfectly. The word study gives a real sense of motivation. Study rooms must also how cork boards so that you put some reminders to it. A very long study table is very functional most especially when you got to have a group study. 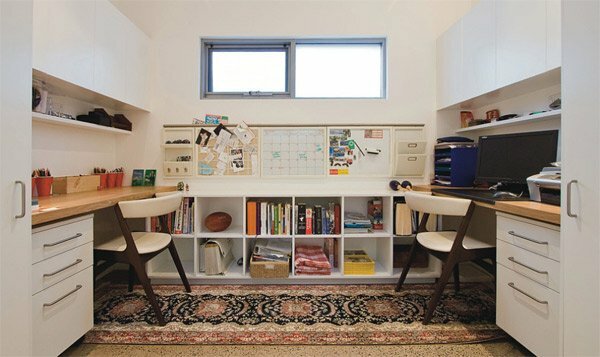 The built-in desk and book shelves conserve the space; especially for the children they need a spacious space. If you have limited spaces you can always have partitions in your house. Sliding doors can be used for more privacy in each area. The canisters are used for the storage of pens and pencils. White boards are also a brilliant idea. It’s like your home is a continuation of your school. 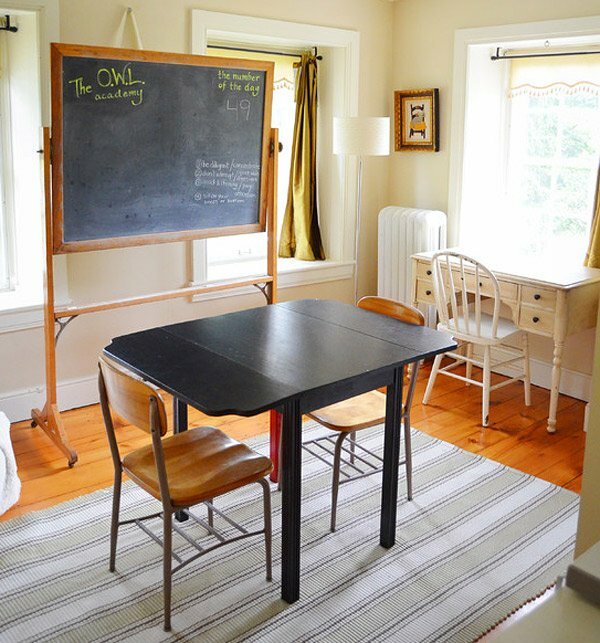 The vintage chalkboards and chairs give a stylish area for your kids to learn. Always provide plenty of study tables to have a more focus work on assignments. The colors and design would probably make them study well. I love the idea about the study desks. This will turn out to be a fun room when you have bunch of kids. The wall was turned into a wide cork board covered with fabric, ideal for displaying the children’s paintings and works. 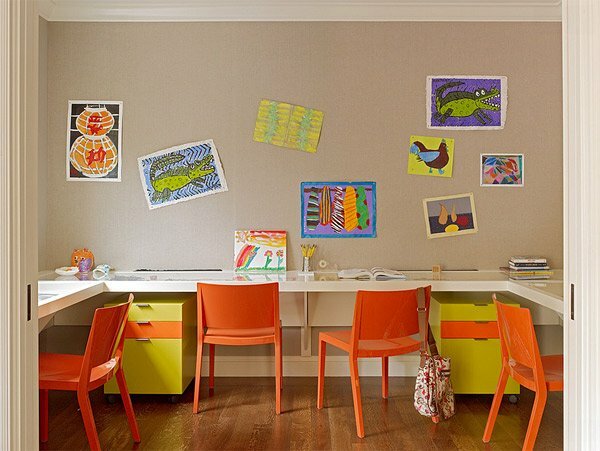 Your little ones and your teens can share their work for this kind of design. The built-in desk is very functional that can hold laptop size and the round table can be used by doing projects and crafts. The wall shelves are very stylish, it provides a perfect storage for things, and the idea of the chalk board is very useful. This got a beautiful design! It’s nice to incorporate murals into the walls just like the world map. Wow! I’m sure kids would enjoy having a wide chalk board in their study room. 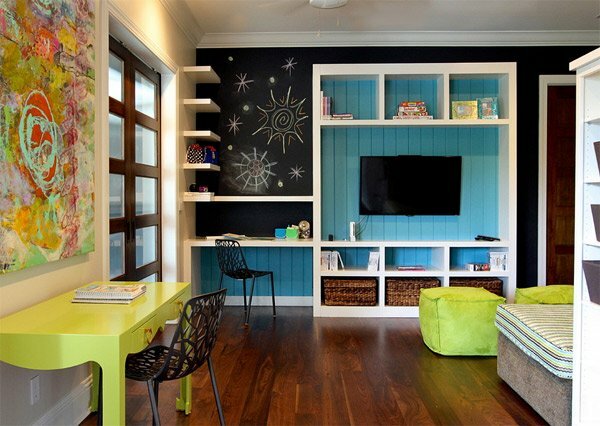 It is important that this area should be created with bright or vibrant colors and making it a lively space so that your kids will be inspired to work. And the most important thing that you must consider is that it must be far from distractions. The main point for this space is that it creates a comfort zone for learning, discovering, working and growing. To polish the design of course you can also add some pots of green plants, little floor sofa set, bench chairs, anything that would provide comfort. 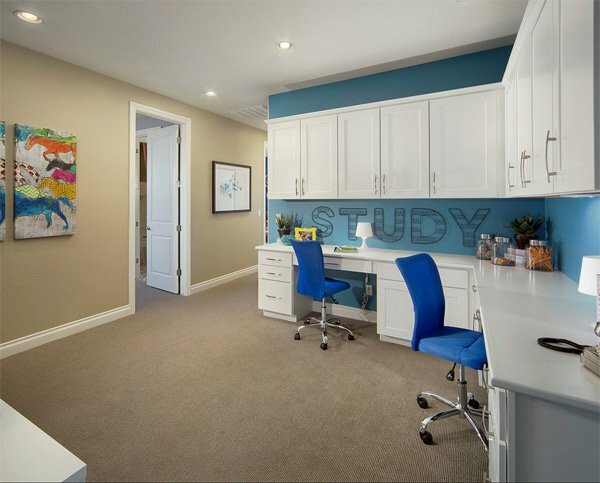 If you have successfully installed a study room you can also add playroom for your kids to complete their pleasure.